Pigs, beef cattle, sheep, and chicken are free to root and roam as they are cycled through large pastures with access to sun and shade, field, forest and wallow. 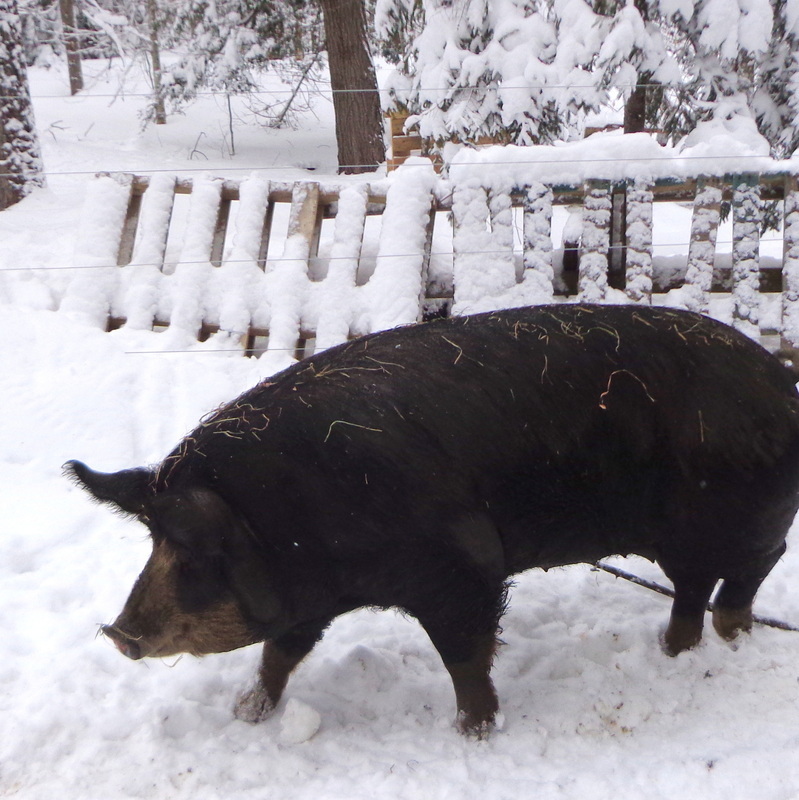 PASTURED PORK We have 100-130 heritage breed pigs including Yorkshire-Landrace, Tamworth, Duroc, Old Spot and Berkshire. Weight from wintering outside contributes to a natural fat layer that enhanced the flavor of our pork. GRASS FED BEEF We have 20-25 Herford Cattle who spend their days helping us keep the fields in check! CHICKENS We grow Free Ranger and Kosher King chickens throughout the summer in movable pens. 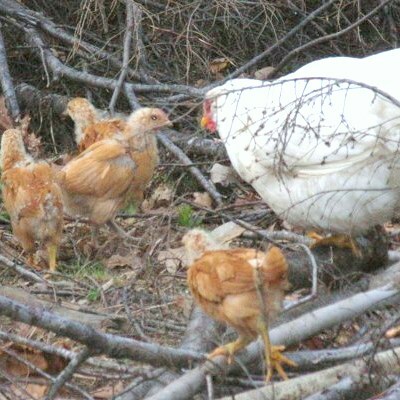 Chickens have shelter and open pasture to explore. Scratching and pecking they are helping to restore our land. Mangalitsa Pigs, sometimes known as Wooly Pig. Mangalitsa pigs are wooly pigs know to be very hardy and slow growing. When butchered they offer well marbled, deep red pork. Delicious! ﻿﻿What really is a "LOCAL DIET"? Did You Know..
Cattle, being ruminants with a natural diet of grass, can be truly “locally fed” by relying on grazing and hay, resulting in the "grass fed" label that savvy meat eaters look for. Pigs, however, even those that live 100% in forest and pastures eating acorns and roots, must also be fed supplemental food. Finishing a market pig on grain typically requires 7-8 lbs. of grain a day for up to 60 days and in western MA this grain will typically be retailed from Vermont and likely grown in the Midwest.